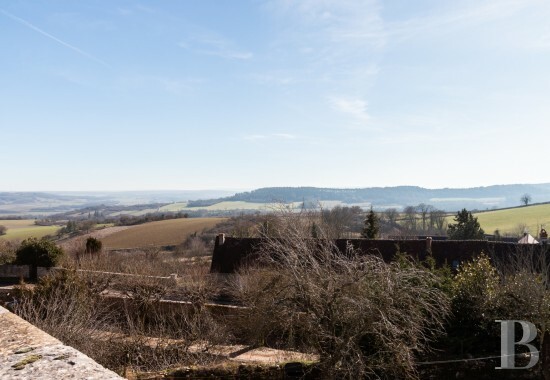 On the outskirts of Vézelay, classified as a World Heritage site by Unesco because of Sainte-Marie-Madeleine Basilica, perched on its so-called “hill of inspiration”, in Morvan Regional Nature Park. Saint-Etienne church, behind Place-du-Champ-de-Foire, is the town’s only other medieval religious edifice. 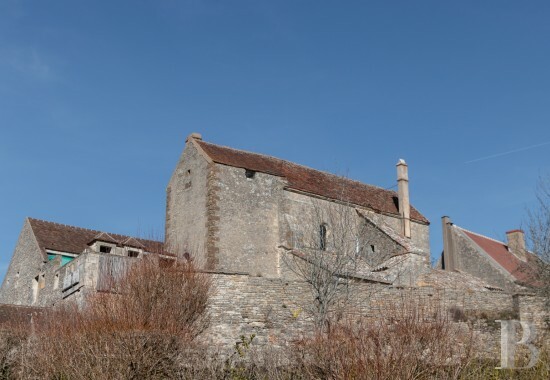 Saint-Etienne church is a gem of Romanesque art, dating from the middle of the 12th century. 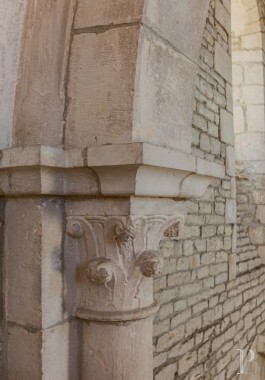 Standing right next to Barle Gate (Porte-du-Barle), it was constructed on the site of a Roman temple linked to Bacchus. The main street runs alongside the edifice’s northern nave. 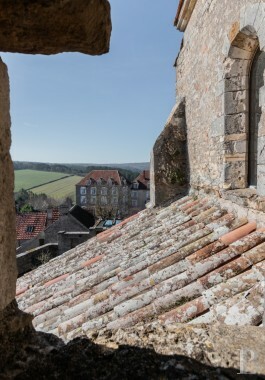 In the Middle-Ages, the village of Vézelay had two parish churches: Saint-Étienne and Saint-Pierre-le-Vif. These two parishes were merged with that of Sainte-Marie-Madeleine following the French Revolution. 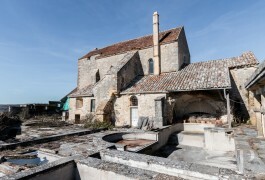 The church of Saint-Pierre, with the exception of its bell-tower, was dismantled. Only that of St-Etienne remains. 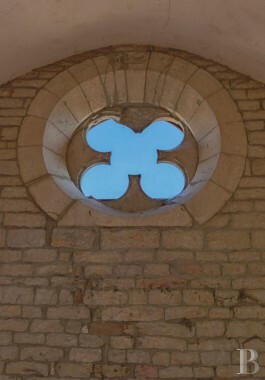 A regional style church, it features two levels of crossed ribbed vaults. 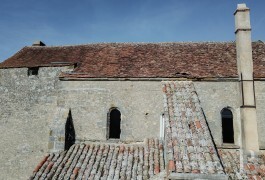 Despite undergoing many transformations, the main structure of the choir and the naves is still partially in existence. More recent constructions were built backing on to the town’s southern rampart. 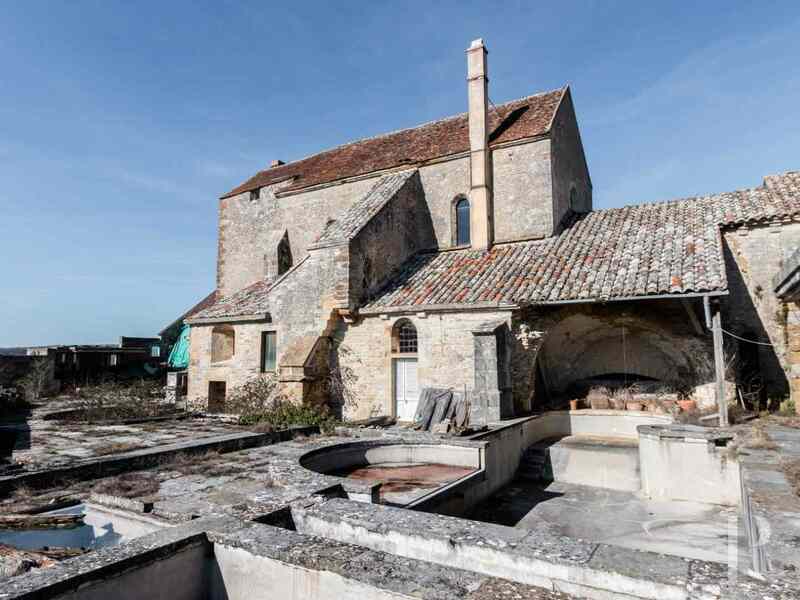 One, an 18th century building adjoining the church facade, is undergoing renovation works. 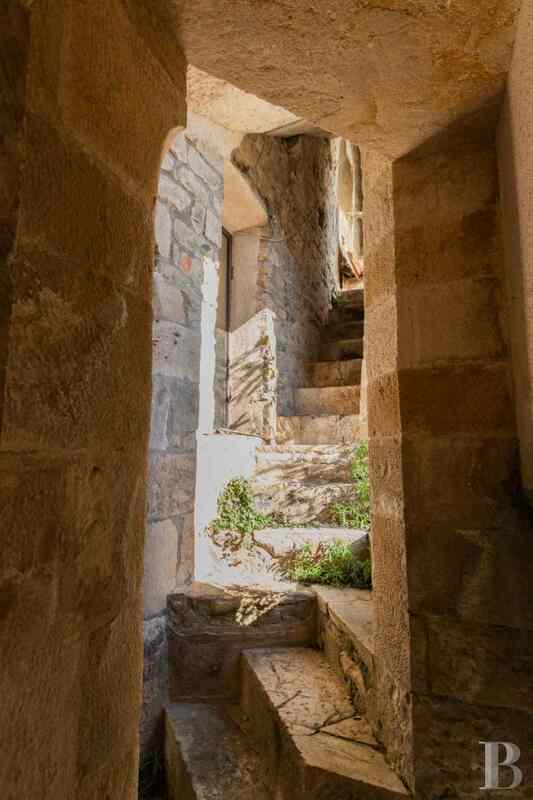 Entrance is gained off the street on the north side via several glazed doors or via three sets of carriages gates. 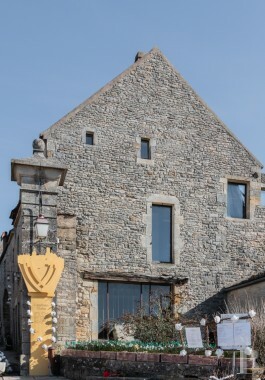 The church’s original door, in the centre of the facade reconstructed in the 18th century, has been preserved. 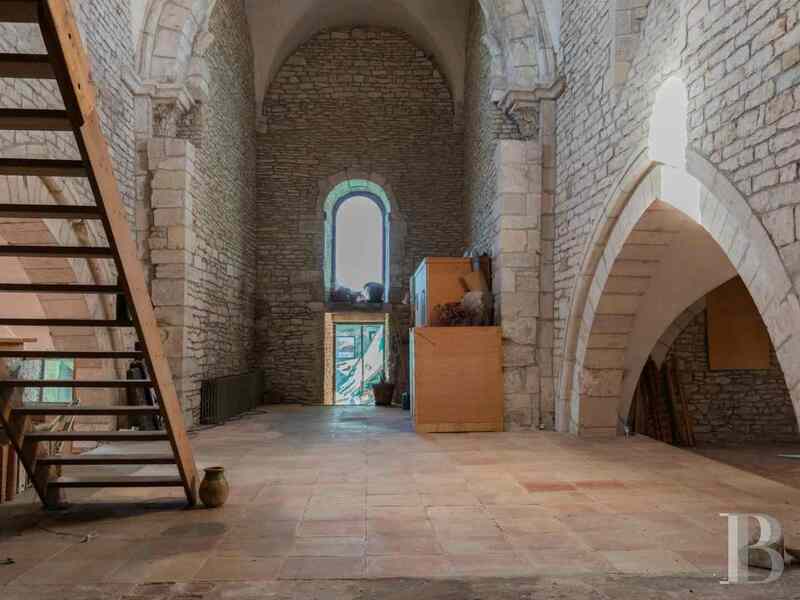 Although this church, on the outskirts of the town, has been transformed into a house, a shop, a storage area and attic space, it still has its original layout. 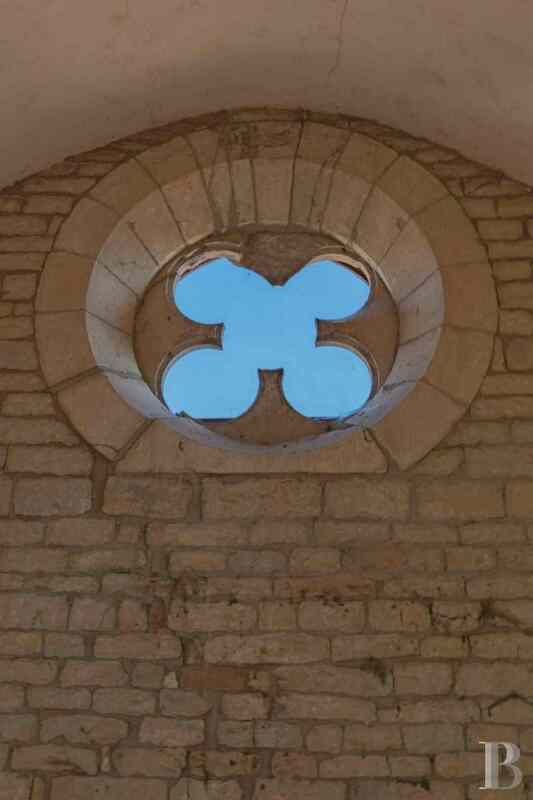 Reflecting a regional style, it features two levels of crossed ribbed vaults on triangular arched cross springers. 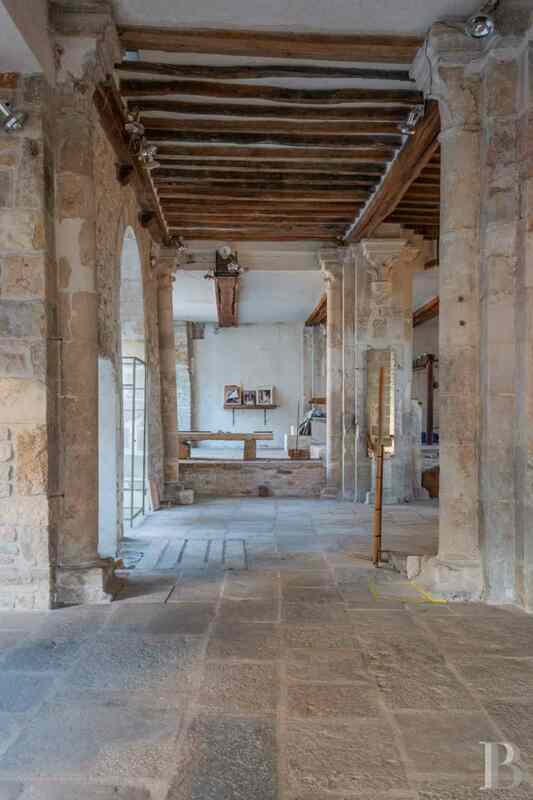 The main nave, with cross-shaped pillars and engaged columns, is in a good state of repair. 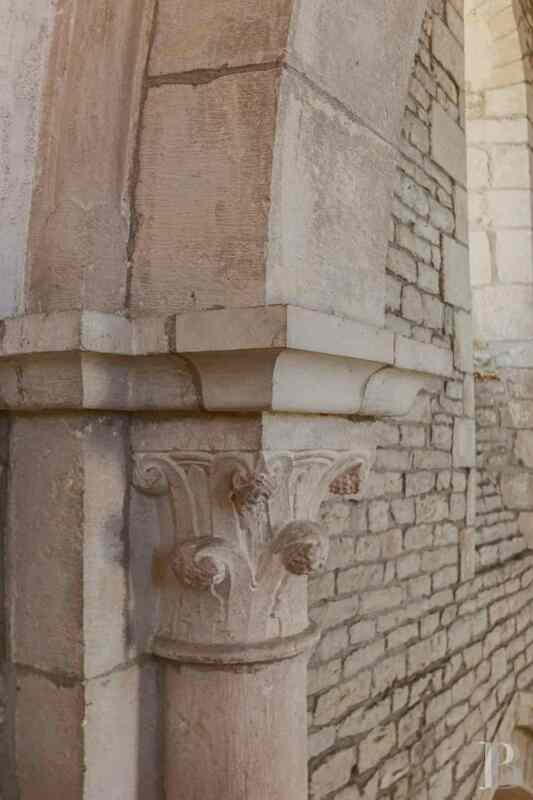 Several columns in the lower section have disappeared or have been defaced. Nevertheless, most of the crocket capitals are still in existence. A commercial area spanning approx. 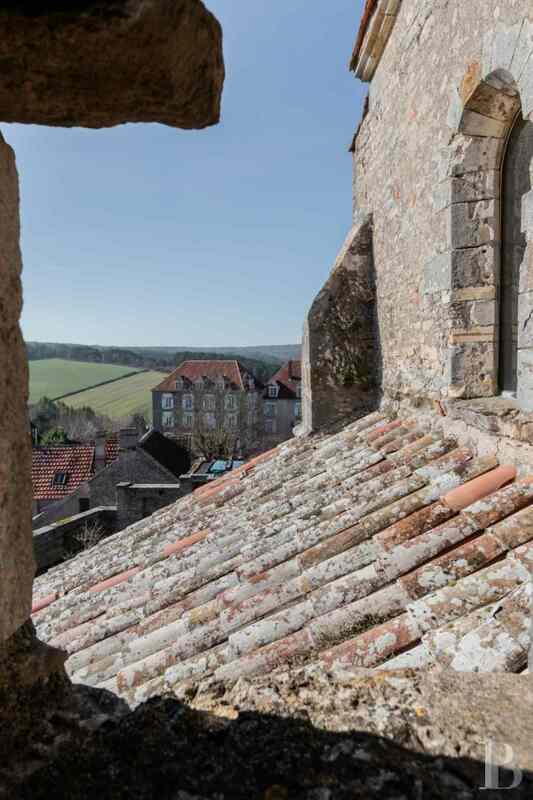 200 m² has been created on the various levels following the lie of Vézelay’s rocky limestone land. 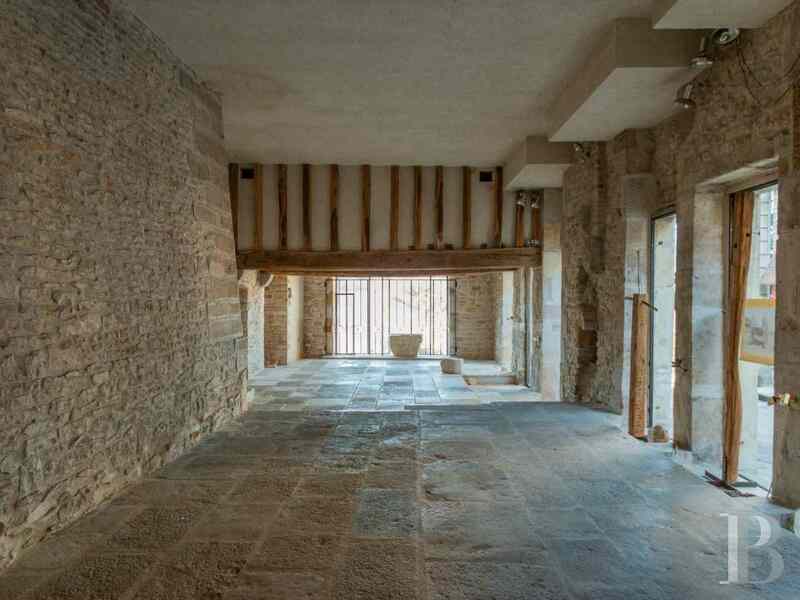 The floors are predominantly covered with Burgundy flagstones. 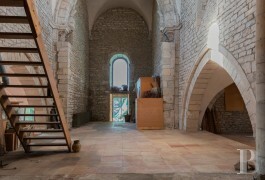 Wooden and concrete floors have divided the inside of the church. 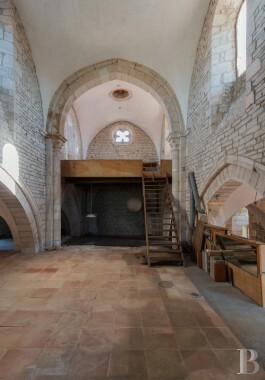 The choir, separated from the nave by an old stone wall, is covered by a ceiling composed of cross-ribbed vaults, the ribs comprising three rounds meeting under a rose-shaped keystone. 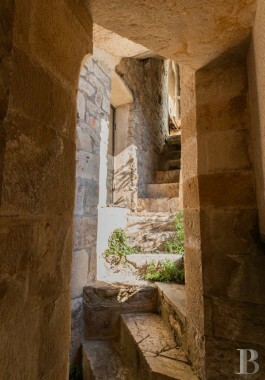 A discreet spiral stairway goes up to a crudely converted floor with a small bathroom. This area, spanning 190 m², has various terracotta floor coverings. It reveals the top of the naves, columns, capitals as well as cross-ribbed vaults resting on triangular arches that reflect the gothic art of the second half of the 12th century. 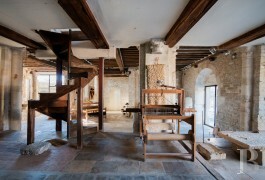 The attic space can be reached via an outside, covered stairway which provides access to the roofing framework. 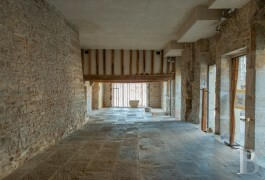 The cellar, spanning approx. 120 m², can be reached via an outside door. 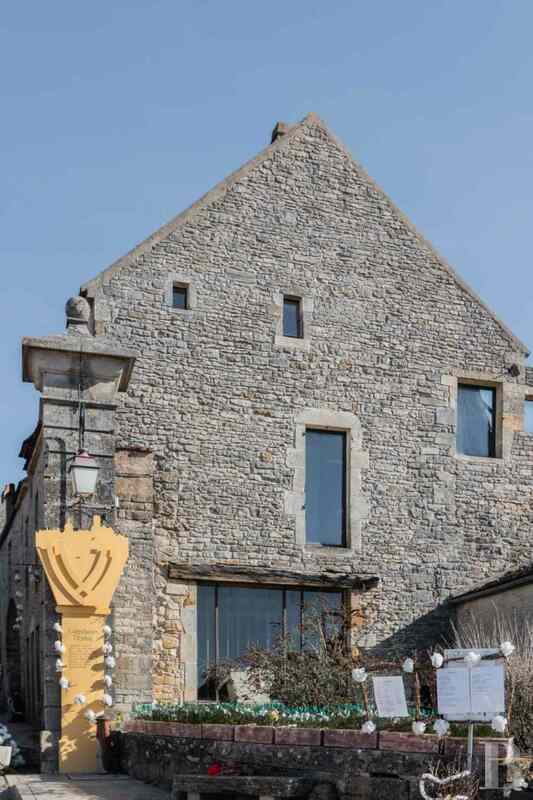 It is part of the 18th century house and, because of the different levels, opens on to Place-du-Champ-de-Foire, where the cattle market was once held. This annex building, adjoining the church facade, is to be converted into a house. Works are currently being carried out on its carcass. It spans a total floor surface area of approx. 90 m² over two levels. 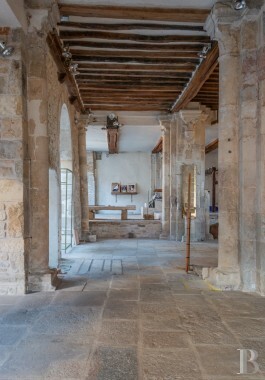 The ground floor is taken up by a shopping arcade which communicates with the church. A modern construction spanning two levels adjoins the south-west side of the church. 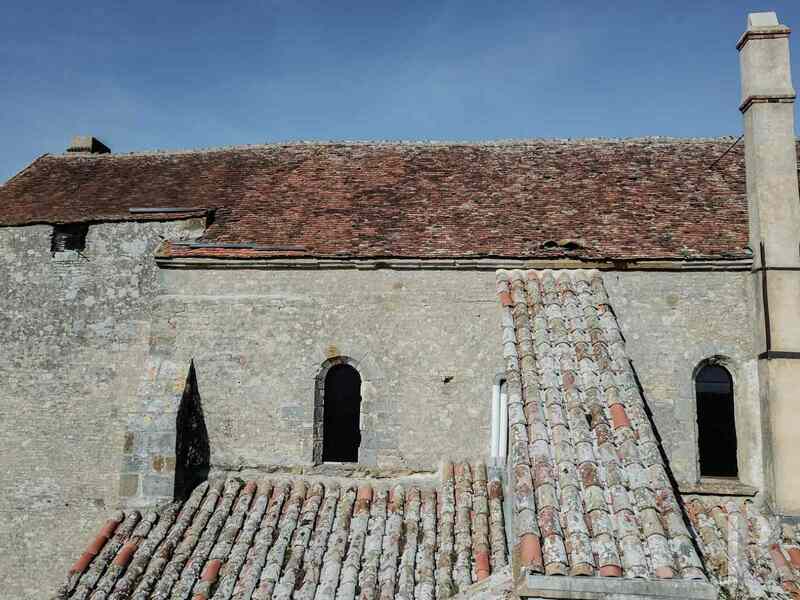 Built of concrete, its upper section is covered with flagstones. It is enhanced with patios and arcades. 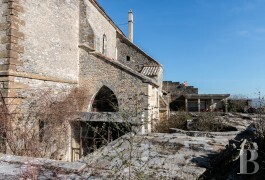 Openings make it possible to create verdant areas on the ground floor and miscellaneous ornamental pools next to the old town ramparts. An old swimming pool, a boiler room and a small workshop are laid out in this section which is predominantly reached via the three gateways opening on to the street. 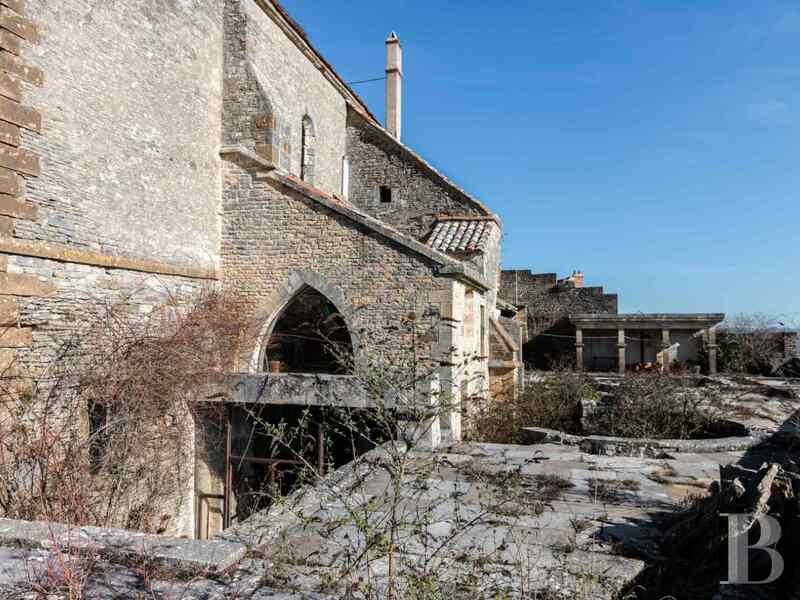 A little 283 m² garden, at the foot of the ramparts, can be reached from outside the property. A variety of large spaces for commercial or cultural projects on the “hill of inspiration” is already an interesting proposition. 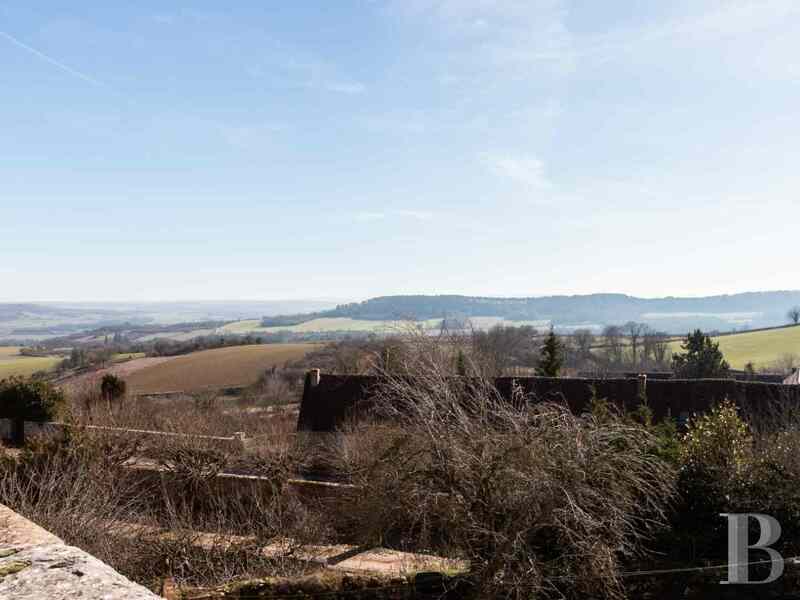 The fact that they are part of an authentic historic monument, one of Vézelay’s two medieval churches, is virtually a guarantee of success. The small town’s third religious edifice, Sainte-Marie-Madeleine Basilica, classified as a World Heritage site by Unesco, attracts hordes of tourists all year round. 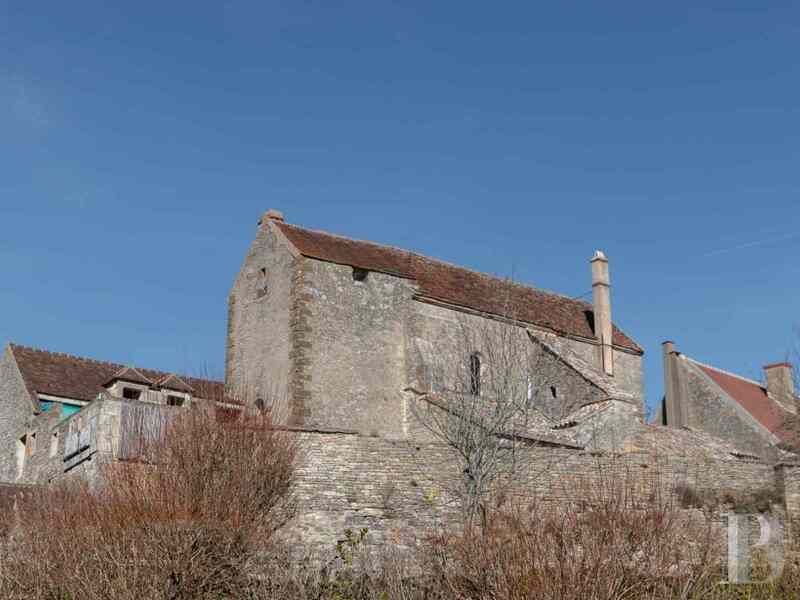 The former place of worship and the adjoining houses currently available stand out courtesy of their architectural features dating from the late Romanesque period or the 18th century. 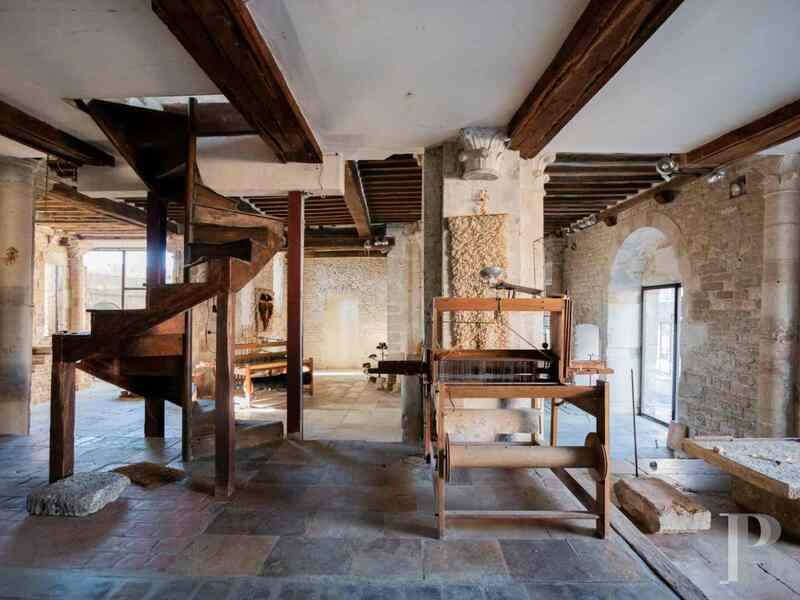 The miscellaneous sections progressively assembled over the last fifty years can now undergo transformation works carried out in consultation with the local DRAC (Regional Cultural Affairs Agency). Such an undertaking has every chance of inspiring enthusiasts.